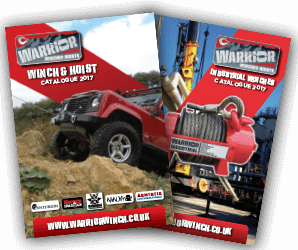 We at Warrior understand the importance of warranty for service & repair, we are now offering a standard limited lifetime Year warranty on all DC electric winches & 1 year Warrior (AC Hoists) without the need for registering your purchase. We still have the option for product registration for customer who still would like to use the website and to keep in touch with ourselves. Please view the limitations below and read the full T&C’s about the warranty offered on a particular product. Year ONE (1): Parts & Labour. Years TWO & THREE (2-3): Parts only on electrical. Exclusions apply please read full T&C’s.